One of the great benefits of joining on-campus organizations is the opportunity to network. During my 1E year, I attended Loyola Student Animal Legal Defense Fund’s (“SALDF”) activities, including a mixer in Downtown Los Angeles, where I met like-minded Loyola Law School Evening Program alumni. A couple of months after that meeting, I attended another cocktail reception hosted by Animal Legal Defense Fund (“ALDF”) at the Animal Rights 2014 National Conference. I reconnected with Loyola Law School alumni there, and they asked me if I wanted to be the “law student coordinator” for the inaugural Animal Law Guild Conference at Loyola Law School. I was more than happy to oblige. Not only did the opportunity help me learn more about relevant animal welfare issues, but it also showed me how attorneys incorporate animal law into their careers. A couple of the attorneys I met work in big firms and do some animal law work on the side, others are sole practitioners who have the ability to pick and choose their caseload. Still others work in government positions with the Los Angeles County District Attorney in the Animal Cruelty Division or for the City Attorney. Some lawyers are in-house counsel for non-profit organizations like Compassion Over Killing or Mercy for Animals. Basically, when it comes to animal law, the possibilities are endless. Professor Sande Buhai was one of the panel speakers, and she explained the usefulness of taking the animal law course to tie together all aspects of law before prepping for the bar exam. 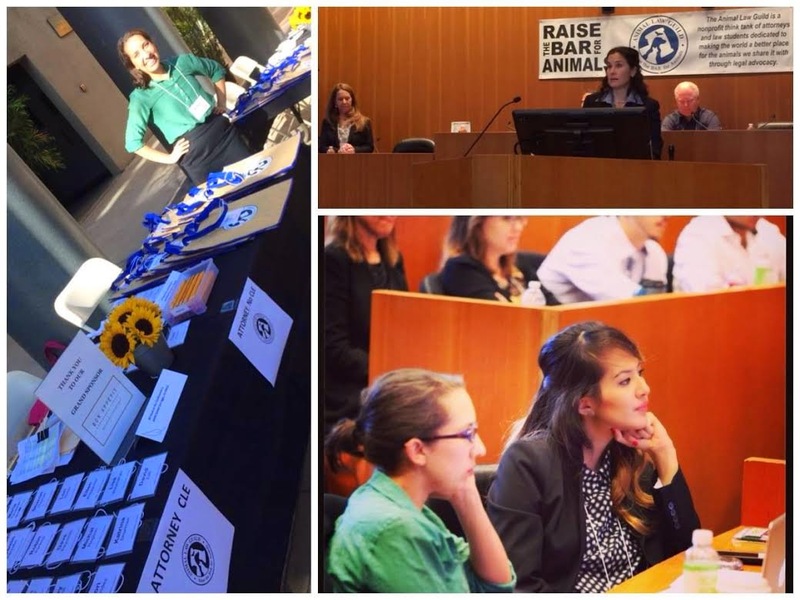 Overall, being the “law student coordinator” for the Animal Law Guild Conference was a wonderful learning experience, and it also helped me fulfill pro bono hours. I’ve made some great connections with attorneys in fields of practice I’m genuinely interested in. Regardless of what your interests are, on-campus organizations can help you get to where you want to be. The key is to take advantage of the opportunities and attend events. I said this to incoming 1Es during orientation and I’ll say it again: law school is what you make it. You can choose to get by with the bare minimum, or you can open yourself up to new experiences. You will be pleasantly surprised to discover that law school is not just about academia; it’s about opening doors. It’s about meeting people who have the ability to improve your outlook—to help you navigate law school and your career as an attorney.